A lot of the vocab tossed around when you first start shooting film is enough to make your head spin. When talking about exposing your film this is the question I get asked the most: rating & metering, what’s the difference? It’s honestly so much more simple than you think, so let’s jump in! 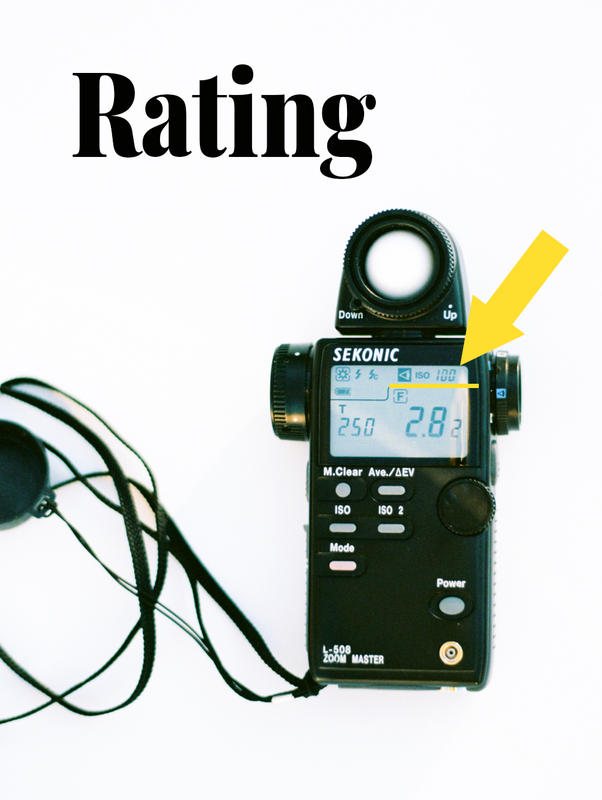 Rating refers to the number you plug into your meter, also known as your ISO, this number also relates to how many stops you’re overexposing from the box speed. While metering is the actual act of measuring the light in your scene and using that reading to get a proper exposure. And that’s it, pretty simple right? If you’re looking for some extra info on how to rate and expose different film stocks sign up for my film newsletter and download your own FILM STOCK CHEAT SHEET freebie! Happy Shooting!